In the U.S. alone, many adults are taking at least one type of prescription drug, either on a temporary or permanent basis. According to the Centers for Disease Control and Prevention, statistics show that it’s not uncommon for older adults to be taking at least five different types of medication. 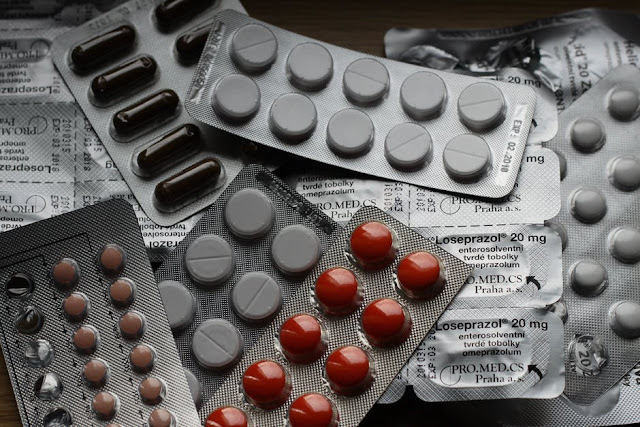 However, even if you are covered by a good health insurance policy, the cost of prescription medication can quickly add up, especially if you are on a repeat prescription or take medication to control a potentially dangerous health condition. Thankfully, there are many ways to cut the cost of prescription drugs. We’ve listed some of the best tricks and tips here. If your doctor is aware that you are struggling with the cost of prescription drugs, they may be able to offer a few ways to help. Confiding in your doctor about your financial issues may not be easy, however, since one in five new prescriptions written in the U.S. go unfilled, you can be sure that your doctor won’t judge you. Instead, they will try and work together with you to come to a solution. For example, many generic, unbranded drugs will work just as well for managing your condition but at a cheaper price. Today, online shopping is taking over the high street, and it’s not just clothing, food, and technology that you can purchase with the click of a mouse from the comfort of your own home. In fact, online pharmacies are rapidly growing in popularity, and since they have less overheads to pay to keep the business up and running, they can often price their products far more competitively when compared to pharmacies on the high street. Follow the link for more tips on saving on prescriptions. Whether you’re filling your prescription at a high street or an online pharmacy, it’s a good idea to shop around first to make sure that you are getting the best prices. Since pharmacies are, after all, businesses, they will often compete for customers. To do this, they’ll offer special prices, exclusive deals, and offers that you won’t be able to find elsewhere. Check the prices at your grocery store pharmacy, retail stores, and online before you decide where to fill your prescription. If you have just been prescribed a new prescription medication, then you can save money on the first few days or weeks of taking it by asking for samples. If you have been prescribed a brand-name drug, then it’s highly likely that your doctor will have samples available for patients to try. Not only will this save you money, it’ll also allow you to try out the medication to make sure that you can tolerate it, and that there are no nasty side effects before you pay to refill your prescription. Prescription drugs are usually necessary to cure or control an illness. But, there’s no need to pay a high price to get well.